Professor Maria Kavallaris is Head of the Tumour Biology and Targeting Program at Children's Cancer Institute and Director of the Australian Centre for NanoMedicine at UNSW. Her research contributions are internationally regarded and include identifying the mechanisms of action and resistance to anticancer drugs, discovering new protein interactions in cancer and the development of less toxic cancer therapies using nanotechnology. Professor Kavallaris has held numerous competitive fellowships. She is a National Health and Medical Research Council (NHMRC) Principal Research Fellow and Fellow of the Australian Academy of Health and Medical Sciences (AAHMS). 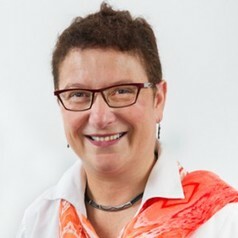 Her research contributions have been recognised by international and national awards and prizes including an International Agency for Research on Cancer Fellowship, an American Association for Cancer Research Women in Cancer Research Award, NHMRC Career Development Award, a Young Tall Poppy Award and an Australian Museum Eureka Prize. She is regularly invited to speak at and chair international meetings. Professor Kavallaris's expertise is reflected in invitations to edit a book, contribute book chapters and review articles, including Nature Reviews Cancer. Her research is supported by competitive research funding from diverse agencies including the NHMRC and Australian Research Council. Professor Kavallaris has served on numerous committees including the Program Committee for the Annual Meeting of the American Association for Cancer Research and the International NanoMedicine conference, and on funding review panels. She serves on the Board of the Australian Institute for Policy and Science and has played a major role in advocating medical research through public outreach. She has served as President of the Australian Society for Medical Research (ASMR) and was recognised by the NHMRC in 2014 as an Australian ‘high achiever’ in health and medical research. She serves on the NHMRC Research Committee where she contributes to high level research policy.